Michigan lawmakers are debating a House bill, a first of its kind, which would establish rules and procedures on how the police department handles recordings from officer-mounted body cameras, including guidelines for when footage can be made public. Michigan’s House Bill 4234, introduced by Rep. Jim Runestad (R-White Lake), would make audio and video recordings taken inside private places exempt from release under the Freedom of Information Act. The videos could, however, be acquired by the people whose property was involved, by a parent or legal guardian, and lawyers of the people involved in the video. The conversation in Michigan is the latest of many discussions underway in cities across the US, as police departments and civil rights groups debate policies concerning the use of body cameras, and look to establish limits and protections over the distribution of the recordings. This is the first state where a bill over use of camera footage is being debated. The bill would require recordings from the cameras to be kept for 30 days unless the video was relevant to an ongoing investigation or to a complaint about law enforcement – in which case they would be kept for three years. Runestad said the cost of storing video is prohibitive for a police department budget, so unless the video is relevant to a case or complaint it will be discarded after the 30-day period. Of course, there are critics of the bill. 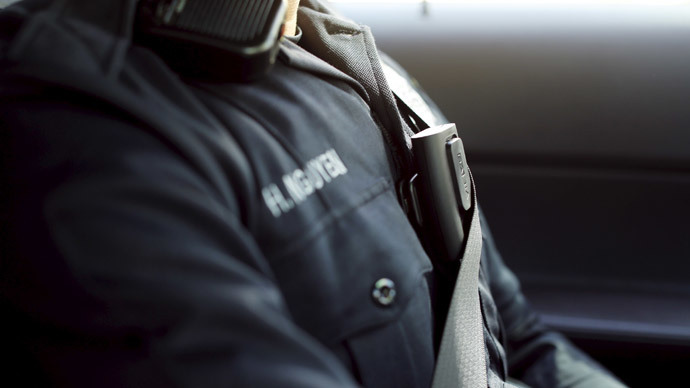 One challenger is the American Civil Liberties Union of Michigan, whose legislative director, Shelli Weisberg, said the exemptions for body cam recordings in private homes will be challenged in court. Weisberg said the current FOIA law allows the public to ask the government for public records through a formal request, particularly in the case of an unwarranted invasion of privacy. She suspects there will be some court action about how body cameras and FOIA work. While the ACLU in general has a dim view of the use of surveillance cameras, "Body cameras have the potential to serve as a check on people in power and protect police against false accusations," Weisberg told the Free Press. The Detroit Police Department and the Michigan State Police have been testing body cameras on a small number of officers. Detroit has tested 20 body cameras last year under a no-cost pilot sponsored by TASER International. They are about to begin a second, 90-day testing cycle.